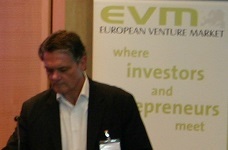 The European Venture Market (EVM) is a registered brand of Continua GmbH, a Berlin based consulting firm. Since its origination in 2005 the EVM has concentrated on offering a platform for startups to meet with investors and providers of services relevant to a startups need, for example tax advisors, lawyers with a specialization on international corporate law, patent attorneys, marketing experts. We lately also have targeted large corporates with their need to identify innovative new possibilities they can integrate in their business fields and sectors – kind of like open innovation. We host our events about three times a year and will expand in cooperation with partners who want to join in with us European wide or even worldwide. 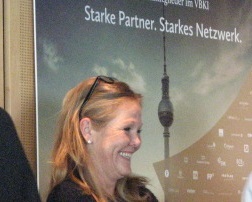 Our events are held in English and offer a coaching day prior to the official event, when we and our partners assist the participating companies in preparing for their pitch in asking questions about their business models and their technology to make sure everybody understands within the 5-minute pitch what they are talking about and of course how much money they need as an investment to drive their company forward. The actual event day is usually structured in sessions moderated by partners or investors with the said 5-minute pitches and short Q&A sessions. We are fair – everybody gets the same “stage-time”! Also we usually invite a few key-note-speakers talking about actual trends in the markets and technology-areas covered and we have plenty of time for extensive networking, because we want the companies to have all chances to directly talk to the investors they find most suited for their purpose. With our new and additional site we offer content for companies and entrepreneurs covering business sectors, sales, marketing and personal development which absolutely goes along with all business development! So, have fun, exploring our ideas and contributions and join us at the European Venture Market events whenever you are ready to “rumble”! Stay focused and let’s venture together!